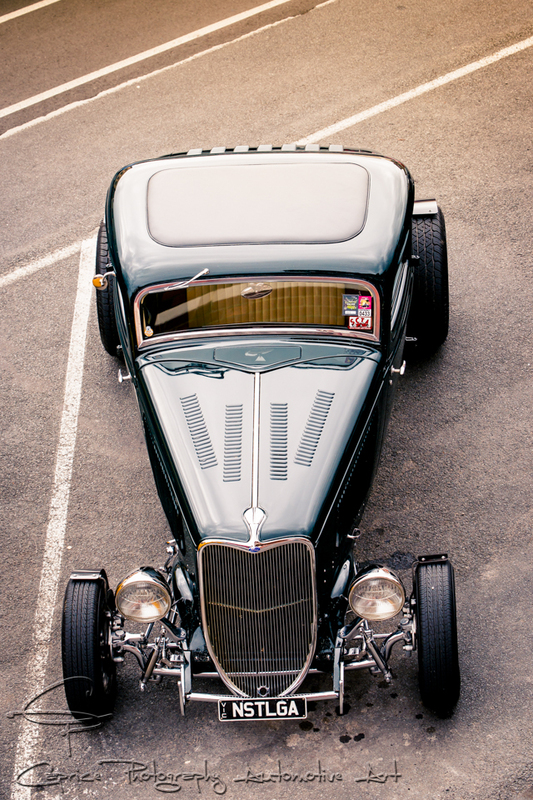 Many car shows found on our social calendars tend to be one day static display events which make for great days out but sprinkled throughout these event dates is a host of weekenders known as rod runs or other similar events with descriptive names. 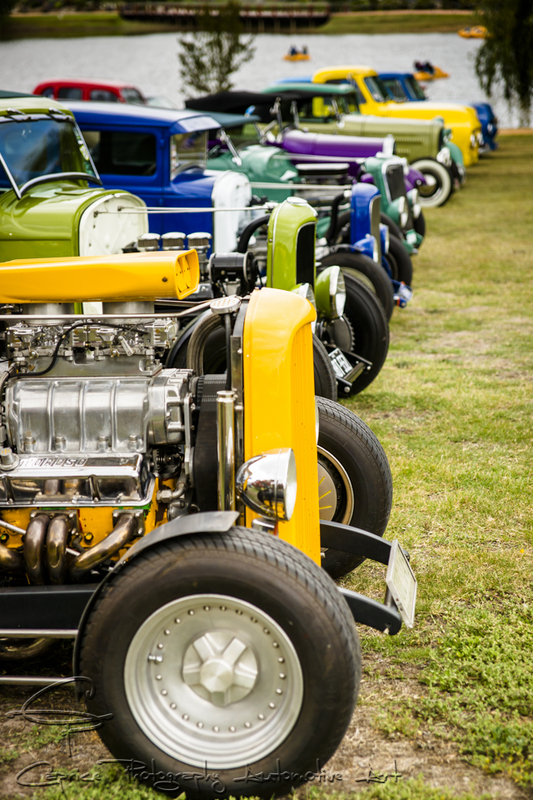 One of the biggest in Victoria is the Geelong Street Rodders’ Queenscliff Rod Run and it took place last weekend in the historic seaside township of Queenscliff, located on the Bellerine Peninsula. 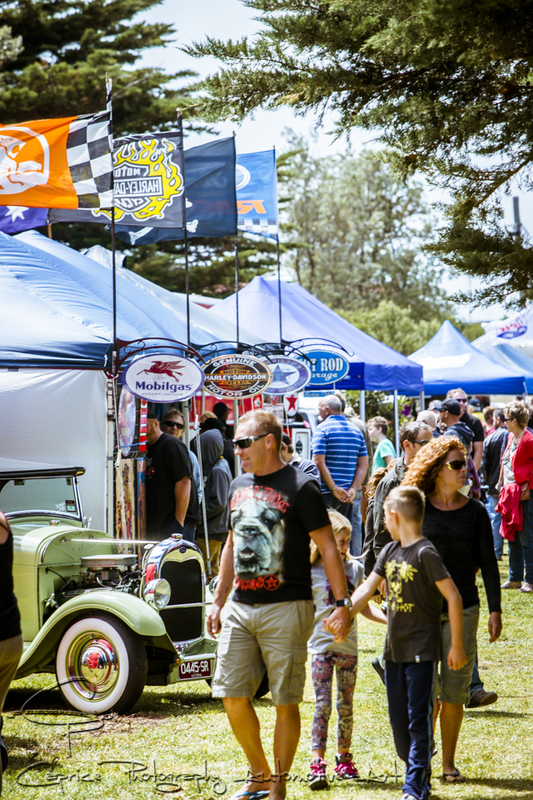 This year saw the biggest number of registered entries in excess of 570 all keen to take in the weekends entertainment, from Friday nights beer and barbie held at the local oval conveniently flanked by the caravan park where most attendees set up camp for the weekend through to Sundays massive show n shine located by the sea in Princes Park. Friday is a busy day for the organisers as they welcome rodders and their families to Queenscliff and the weekend and also take in last minute registrations while other club members fire up the barbecues for the rows of sausages required to feed the travelling guests and fill the esky tubs with beer and ice for a social drink and catch-up with friends. 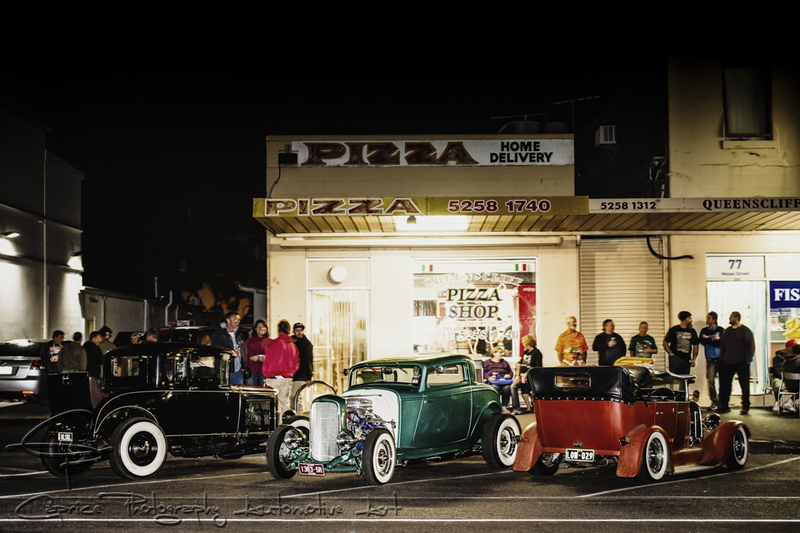 The oval lends itself well for an impromptu rod show as rodders park up their rides in rows and check out what’s new and what’s changed with other rides before calling it a night. Saturday sees the rodders, accompanied by their travelling partners or families have a choice of two tourist attractions for the day. While the kiddie free couples tend to choose the winery cruise and stimulate their taste buds at a number of the regions wineries, hot rodding families head to Adventure Park for their fix of waterslides, boating, carting, merry-go-rounds and many other family friendly activities. Once again, the Geelong Street Rodders put on lunch for the hungry hoards as the volunteers dish out the culinary delights. The wine lovers take in the tranquil scenery as they cruise from one country vineyard to the next at their own pace. Many may say that this is only a preamble for we’ve all been hanging out for on this weekend and that’s the Saturday night cruise! 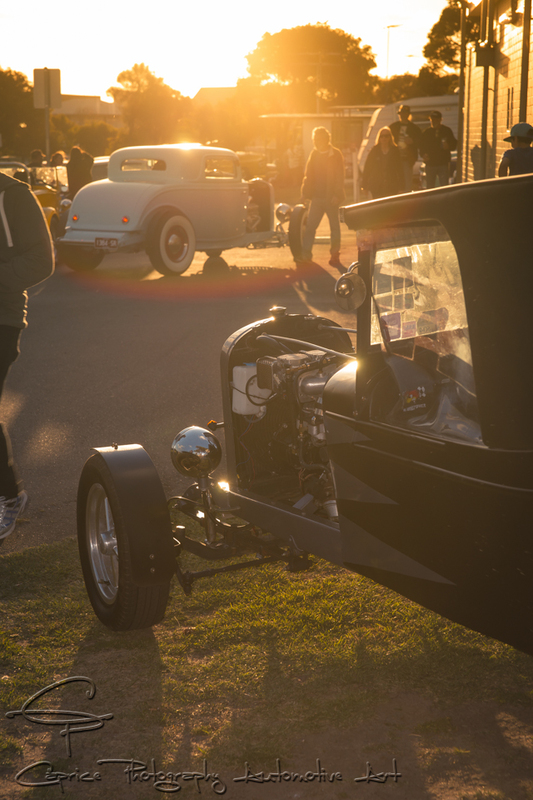 As I said earlier, Queenscliff is an historic town and retains most of its early heritage in its streetscapes and surrounding buildings creating the perfect backdrop for old school cruising along its wide streets as the sun goes down. The town centre becomes a hive of activity as rods, customs and classics cruise the main strip as locals, shoppers and onlookers peruse the footpaths taking in the open-late shops or set up chairs at various vantage points to take in the sights and sounds of a good ol fashion cruise scene. This year saw a change in the cruise scene with a dedicated course set up as specified by local council and constabulary. While some might say it takes away from the natural cruise scene of yesteryear, it has become a necessity in order to continue to use such a public area for our own vocation. It’d be a shame to see this type casual cruise scene disappear altogether so we best respect their wishes. 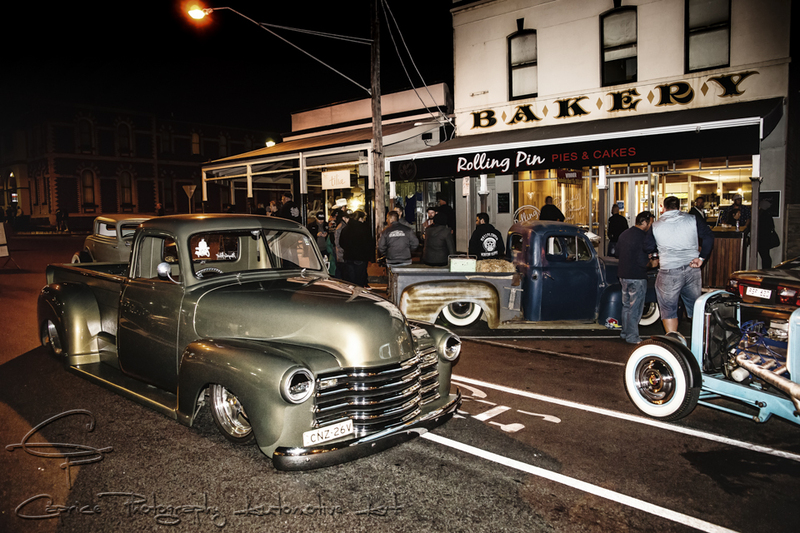 With rodders taking a moment to adjust to the cruise course, which also took place at dinner time, it wasn’t long before the streets filled back up with the custom classic iron and rumbling V8s we love so much. This went on into the darkness despite a sprinkling of rain which simply added an ambience to my photography as I risked the water-shy camera in the elements. I wasn’t going to miss out! No car show weekend is complete without a show n shine and this takes place on the Sunday making for the perfect recovery day! Living in Victoria, far south of the equator, we’ve become accustomed to the fact that, despite being told it’s now summer, not every day will be a summer day and this was one of them! Showery rain greeted the entrants, traders and day trippers as they arrived in their droves into Princes Park by the beach. By 10am, blue sky and sunshine broke through the grey gloom as owners brought out their chamois and proceeded to wipe down the beading water off their gleaming paint and chrome. Anyone who’s ever owned a classic before knows it’s kinda like giving their pride and joy a massage but don’t tell our better halves that, they don’t understand! It’s a car person’s thing! Sunday wraps up in the early afternoon as many have some distance to cover to head home, so the hosts of the weekend, the Geelong Street Rodders thank the attendees for coming, draw the raffles, hand out the top 8 plaques and sponsors choice awards to the worthy rides and help all who attended this popular rod run leave in the fashion they’ve become accustomed to with this club. With goodbyes said and vowing to return next year, we head for home with a satisfied feeling of a good weekend had doing what we love best; cruising and catching up with like-minded folk! Next year’s dates for the Queenscliff Rod Run are the 5th, 6th and 7th Feb so book your accommodation early as I’m sure many rebooked before they left! See you there!